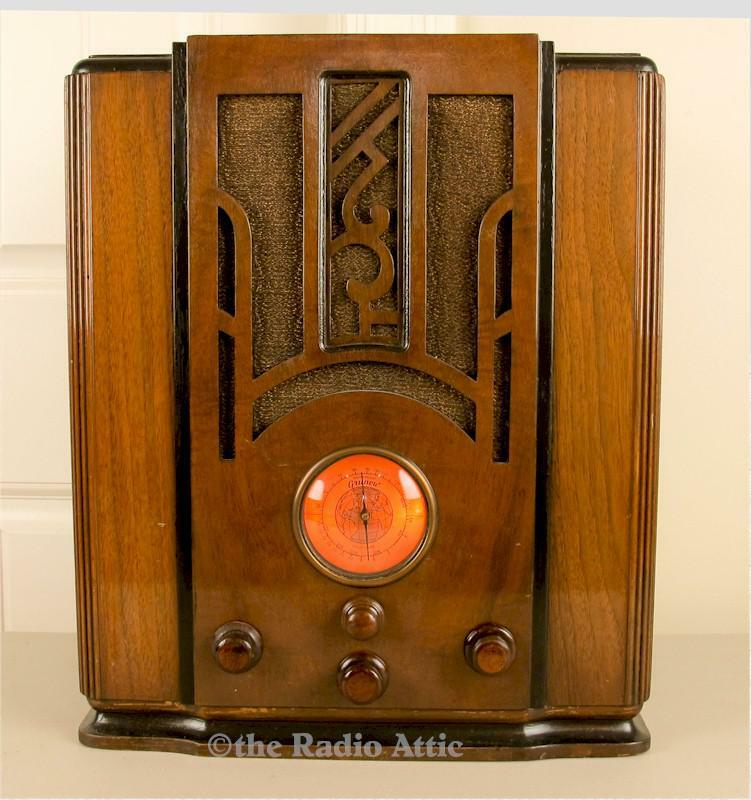 Here is another fabulous radio I purchased from the legendary Radiophile collection many years ago (Google "Radiophile Wood Radios" to read more about this set). You seldom find this model for sale so don't let this one get away. The grille bars and big globe "airplane style" dial are especially attractive. The cabinet is in excellent original condition with the normal imperfections found in any 80+ year-old antique. The grille cloth, knobs and interior labels are original as well. The Radiophile performed an impeccable electronic restoration for many future years of enjoyment. It is an excellent performer on AM and shortwave bands. 17"H x 14-1/2"W x 9-1/2"D; 28 pounds.